Abu Dhabi – October 20, 2016 — Al Jaber Group wins LinkedIn Rising Star at the annual LinkedIn Talent Awards, among more than 800 organizations across the region utilizing LinkedIn Talent Solutions. 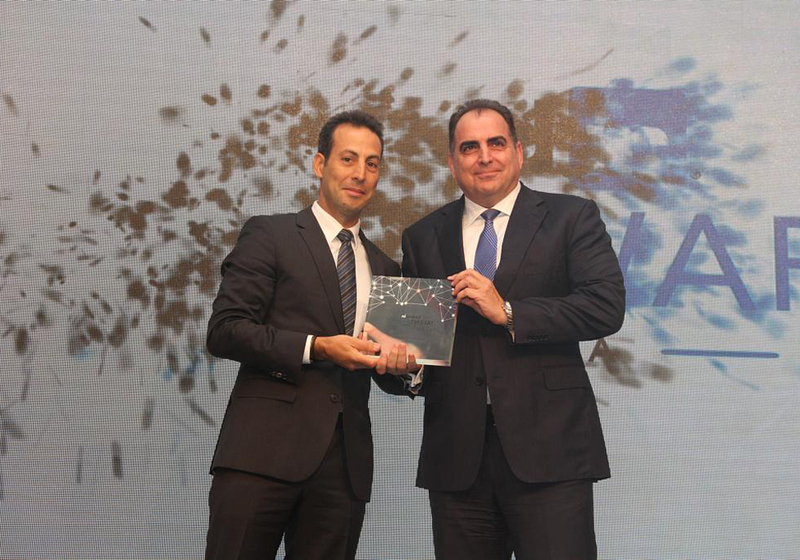 Al Jaber Group was honored for the “LinkedIn Rising Star” category, which measures the overall usage of LinkedIn Talent Solutions for companies that have adopted the solutions in 2016, at a gala ceremony held at the Four Seasons Hotel in Dubai, Wednesday the 19th of October 2016. H.E Shamma Al Mazrui, Minister of State for Youth Affairs graced the awards night with her presence where she shared the vision of the ministry and announced the launch of the Youth Data hub, in collaboration with LinkedIn, which is considered the first direct public-private collaboration on youth data in the Middle East. Panicos Euripides, Al Jaber Group CEO, commented: “The recognition we have received from LinkedIn reflects the engagement that Al Jaber Group has established relating to its activities and recruitment actions“.